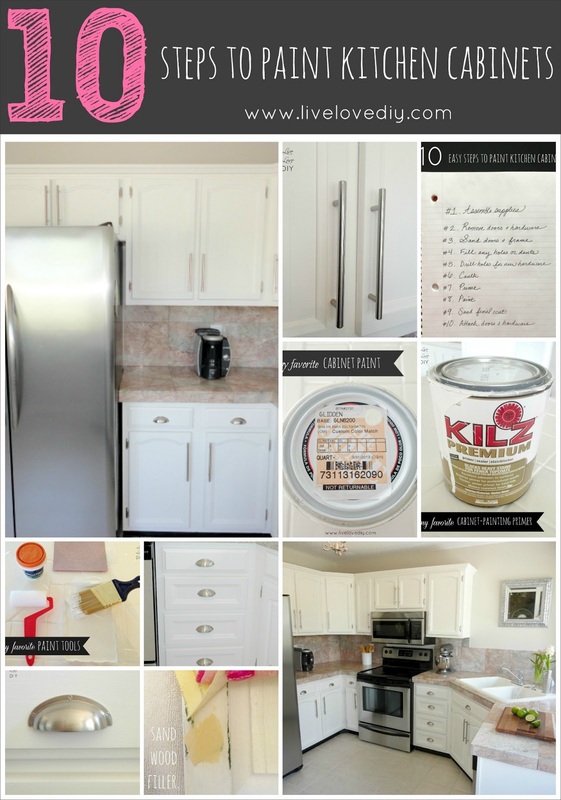 This is my story of how I transformed my kitchen just by using paint. It was outdated when we moved in, and I had zero dollars to renovate it. So, instead, I got creative and essentially painted everything in sight. If you're working with an old kitchen and a small budget, this post will hopefully leave you with tons of ideas. 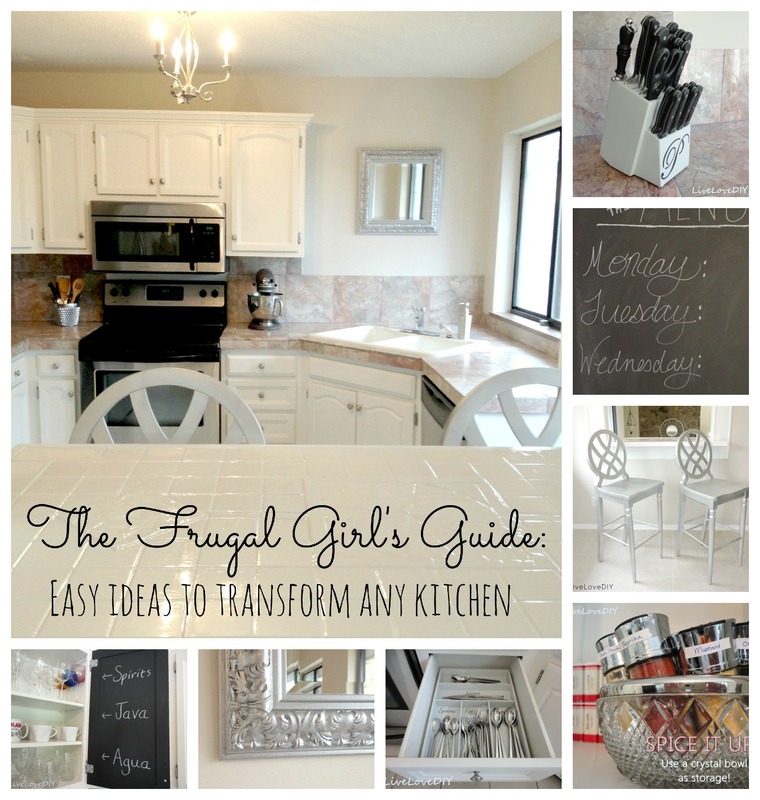 If you're new to my blog, let me give you some background info on my kitchen. When we moved into our house three short years ago the kitchen needed some work. I was on a tiny budget, and determined to transform this kitchen into a space I love. Since my budget was so small, I had to re-purpose a lot of what was already installed in the kitchen, as well as use the things I already had laying around the house. When we first moved in, the cabinets were already painted white, but it was a ugly white, so I repainted the exterior cabinets my preferred shade of pretty white. After that was done, I had to do something about the insides of the cabinets. The interiors were so gross and dirty. I hated them. 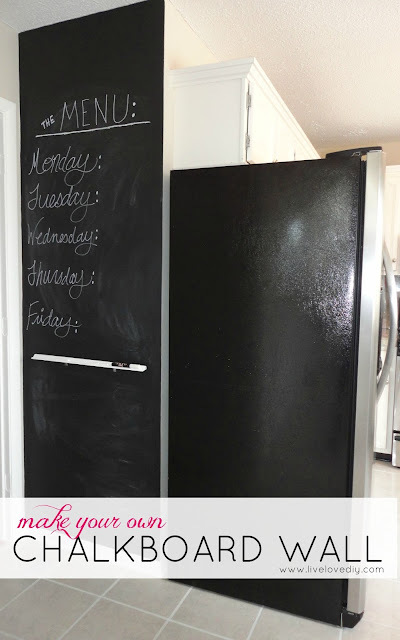 To remedy the outdated interiors of the cabinets, I painted the insides the same white as I painted the exteriors and I painted the backside of all the cabinet doors with chalkboard paint (seen here). And since I'm obsessed with organizing, as evidenced here, I labeled everything in sight. Painting the insides of the cabinets made such a huge difference, and the chalkboard doors really made it so unique. It made the entire kitchen feel different. After that, I left the kitchen alone for nearly a year, knowing that I would eventually have to come back to it. The first thing I decided to tackle this year was my little look through bar area. This is what it looked like when I first started. The homeowners before us did a great job with arranging the tile, but the colors weren't my cup of tea. Back in April 2012, I tried to update it a little bit by painting the tile and coating it with some poly. That was short-lived, as it chipped after a few months. The second time around, I did my due diligence and researched online. I discovered that there actually was a way I could paint the tile. I'm in love with the way it turned out. 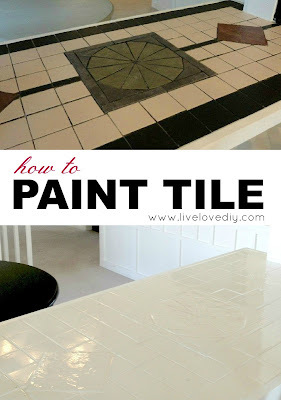 See how I painted my tile here. Not only does the painted tile look great, but it's super durable, and it's a breeze to clean. And the before and after is remarkable. Painting the tile unleashed a whole series of other projects. Isn't that always what happens? Here's what the bar area looked like right after I painted the tile. It wasn't awful, but I had a vision. I knew that the wall color, chalkboard trim, and chairs needed to be changed. I tested out a few wall colors, and ultimately decided on a soft gray paint that I fell in love with. If you look at our kitchen before and after pictures, the change in wall color is hard to notice. Seeing them side by side below, you can see what a big difference it is. In person, the kitchen feels so much fresher, and the new wall color is very noticeable. I also decided to paint the trim back to white. Here is the trim mid-paint. I got to enjoy the luxury of being sloppy, since I knew I was painting the walls when I was done with the trim. And here it is, all cleaned up and finished, with the walls painted the new color, too. It feels so fresh and amazing. I also decided to paint my thrift store chairs silver. It was a crazy move, but I really think it turned out great. Even Jesse noticed. And that is rare. He's used to me changing something on a daily basis, and barely blinks an eye anymore. 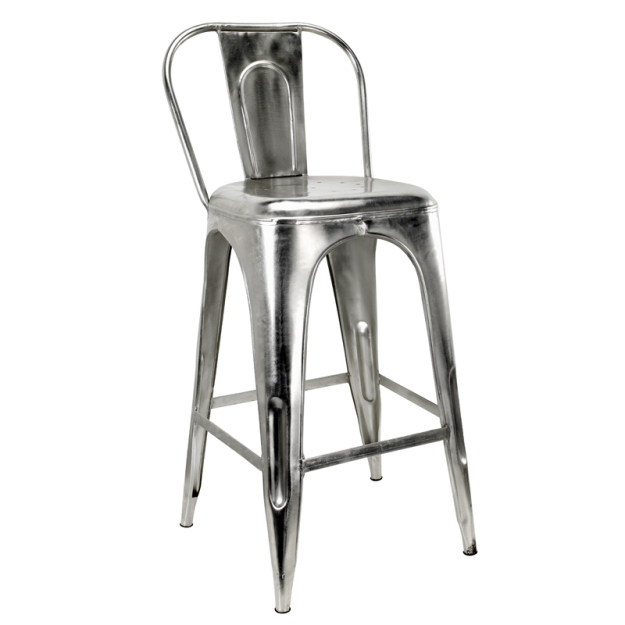 For nearly a year I have been hoping to buy industrial metal stools kinda like these. But at roughly $200+ a pop, the budget never allows. Something usually comes up that makes me put my sweet little industrial stools on the backburner. Then last month I saw these and had a bit of a lightbulb moment. 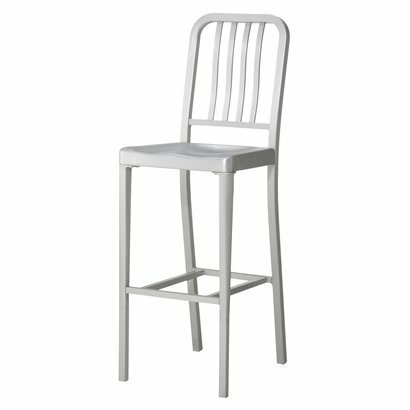 I realized that I had two perfectly good barstools that I could simply spray paint silver. Since they were $5 thrift store stools, I felt like I had nothing to lose. And it worked! They're no industrial metal stools, but they look pretty cool. Plus, it adds an unexpected, fun vibe to the kitchen. The trick was to use super high quality spray paint. and to do several light coats. 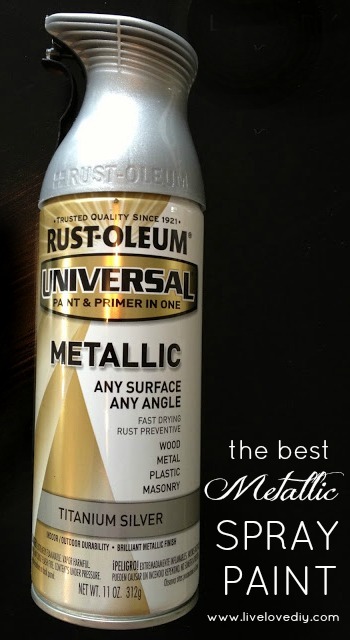 It will give them that super shiny, real-metallic look. Here's a quick before and after so you can compare how much better it looks now. By painting the walls greige, the trim white, the tile white, and the bar stools silver, I was able to create a whole new look. The littlest details often make the biggest difference. In the meantime, I will make the best of what I have. While I was in the painting mood, I decided I would paint the wall between the kitchen and the guest bedroom, right next to the fridge. It was a total unused space, just begging for me to mess with it. After a few coats of chalkboard paint, my new and improved chalkboard wall was born! I had Jesse help me install a little ledge for my chalk. We just went to the hardware store and found a piece of trim with a groove in it. It's become the perfect place to write my menu for the week, reminders, and the occasional love note. I decided to tackle a few other things that were bugging me, too. Remember my DIY knife block? It's not a forever plan, but I figured I would show you anyways. While I had my silver spray paint out I also decided to change out the decor over the sink. There was a free-floating shelf there, but my cats loved to jump on it and make things crash everywhere. So, I found a thrift store mirror I loved, and painted it silver. 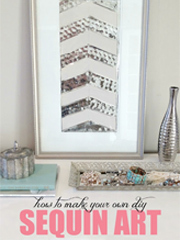 To see my tips on how to paint a mirror to have dimension like that, go here. There's a trick to it. And those are all of my kitchen updates for today! I'll leave you with a picture of Tootie and Cheese being destructive. Life always gets put on hold when there are bugs in the chandy. 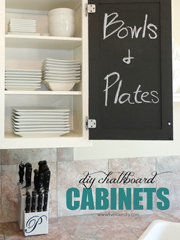 **To read about how I painted our kitchen cabinets, please click here. WOW! 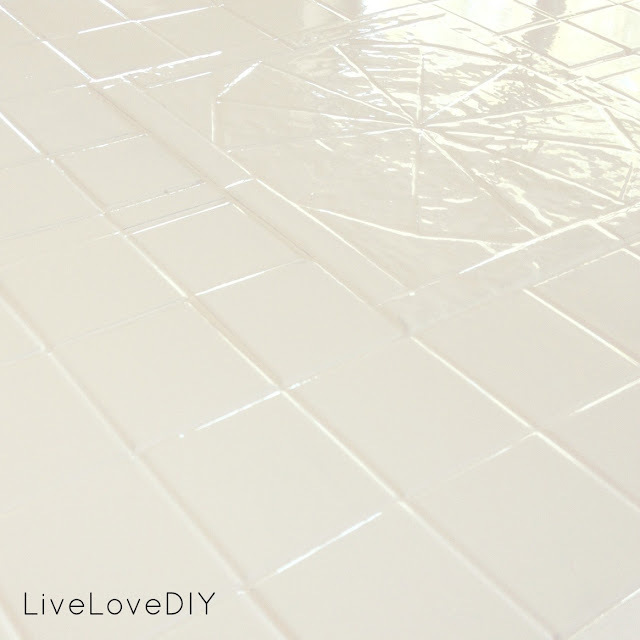 I really like the tile painted glossy white. Very chic look. But now you need a little pop of color. Maybe a vase with some colorful flowers. How about poppies? Or gerbera daisies? Great idea!!! And yes, the kitties are acrobats!! Thanks Annie! Hi ! Your kitchen looks amazing. I love the bar area and the silver chairs ! It´a amazing what a little paint can do right ? It absolutely is! Amazes me everytime!! Thanks Marianne!! Well aren't you the paint queen?! It looks awesome!! ha! I accept the title with honor. :) Ha!! Thanks Anne!! Wow....the only word I find for your post is....amazing!!!! Excelent job, love your creations, from BsAs, Arg, La Silla Chic. And Virginia, you did an amazing job on every single paint project. It truly is awesome what paint can do to transform a room. I love the inside of the cabinets, how fun! Ummm. wow girl. I think I could eat off your floor! Hello clean home..I love you! :) Great suggestions up there V- love them all! Wow wow wow wow!!! Love the epoxy bar...looks amazing!! 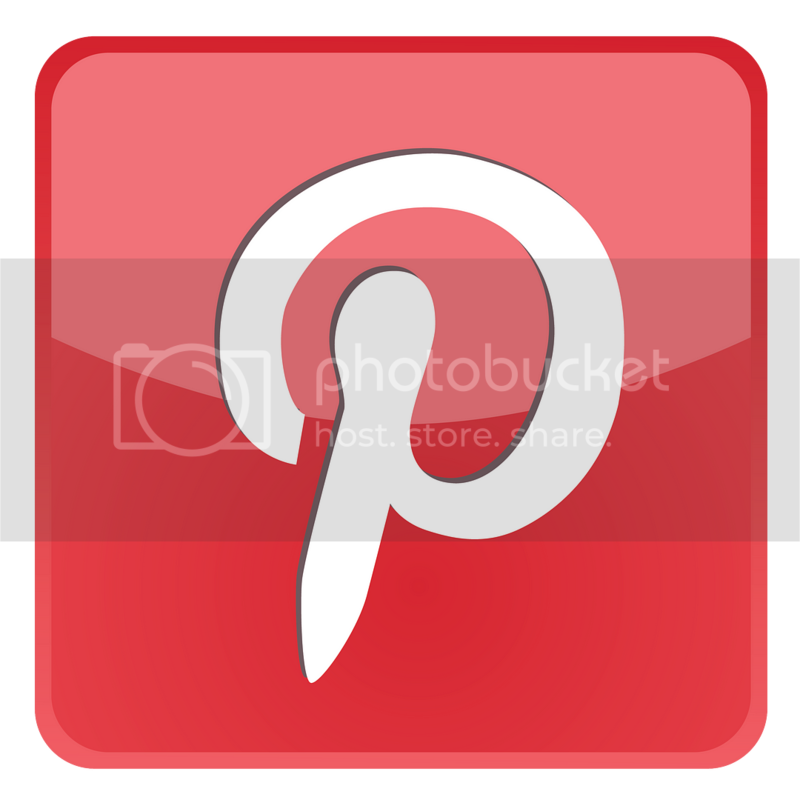 Pinning these great ideas! I definitely had to do a "whoa" and scroll back up to see the kitties perched precariously ... ours will scale the walls for a moth, too! But back to your kitchen - those updates made a world of difference! Great job! 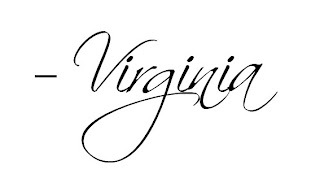 I love you Virginia...! You're the one who got me started on all the little touches that can be made around my tiny rented unit to make it very personal to ME...! At 73 and just about to become a Great-grandma for the first time, I haven't slowed down in continually "tweaking" things round here, thanks to you showing me what's possible on only a small income (which is my Age Pension) Thanks a million, Virginia...! Hugs from Nadia in Perth, Western Australia. Love, love, love all of the details, especially the painted countertop! Amazing!!! Girl you are a paint superhero! Feel free to stop by our house anytime...with your brush of course! I'll make food ;) seriously though, nice work!! This is fantastic! 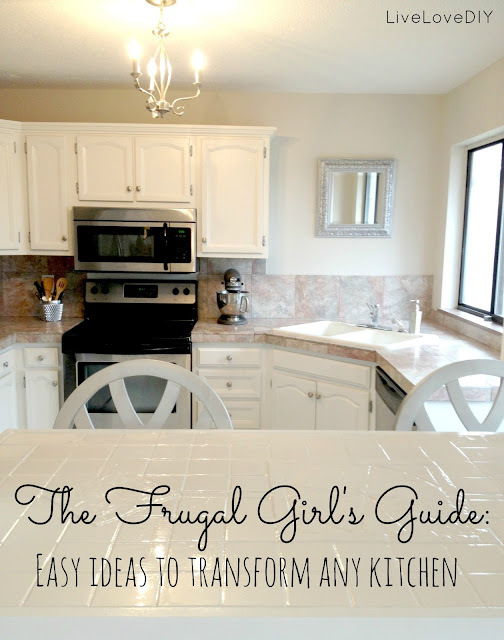 Our kitchen is even way worse than your "before" kitchen, and I am DYING to redo it. It is embarrassing! We have no money either, so this is exactly what I needed to read. 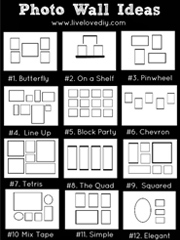 Your house looks amazing! 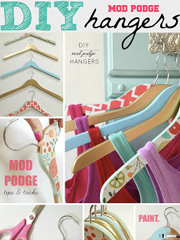 I'm so glad the Pinterest lead me to your blog. Keep up the great work! Well done, this looks amazing. Nice to see a realistic budget in action! I painted some really cheap cupboards in our first flat's kitchen with something called cupboard makeover paint and it was amazing. It made the doors look like painted wood. My only suggestion for you would be to add a pop of colour with a simple lamp shade or maybe some warmth with a woven shade. Loving your work over here in Edinburgh, UK! This is beautiful; and I know the feeling to do things yourself! You have me hooked on watching your house transform. You are very inspiring! Can't wait to try some of things as well - thank you for sharing with others! I think I love you. SO happy I found this site. Thank you for existing. This site is wonderful! So happy I found it! 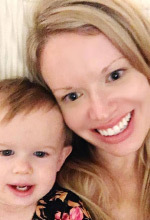 As a full-time working mom of 2 little girls, I've had so many dreams of fixing up my house but very little "budge" left in my budget, so I always put it off. Seeing how creative you are with what you have has really inspired me! thank you and keep on rocking! Hello! I am learning *so much* from you and am ready to take your advice as a newlywed and first-time homeowner! One thing that I am really curious about, was how you cleaned and prepped the inside of your kitchen cabinets for painting. Our situation is very similar and pretty disgusting! I can't wait to paint the interiors, but just not sure how to clean/prep the surface. 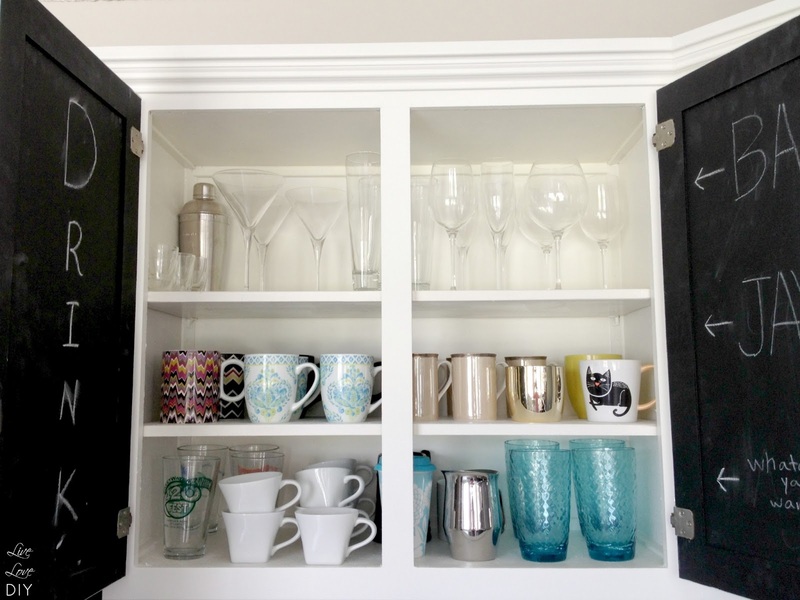 Can you share how you did that with your kitchen cabinet interiors? Thanks! Wow! Looks fab!! 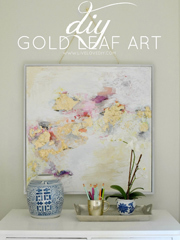 Can you tell me what your paint color was for both the "pretty white" and the "greige"? :) Thanks!